Lock in a great price for Mitre Hotel - rated 8.1 by recent guests. Location, staff, breakfast was fab. Unfortunately the cleanliness of the room wasnt. Dust around the tv area and units was something to be desired. Bed and bathroom was spotless. Unfortunately the dust in the room stopped me giving it a fab review. Breakfast room overlooking the river, staff nice, good location. Our whole experience was made unforgettable by the attention that was given to us by the staff especially Myank (hope I spelt that right) who was the manager. He could not do enough for us and made our stay fantastic. Many thanks to all the staff and we will see you again. Super comfy bed, great location, lovely old-world feel to room and furnishings. Second time we’ve stayed here, absolutely stunning location next to the river. Old fashioned charm. Good breakfast, comfortable bed. Fantastic location. Wonderful friendly staff particularly the receptionists and the lovely Restaurant manager. 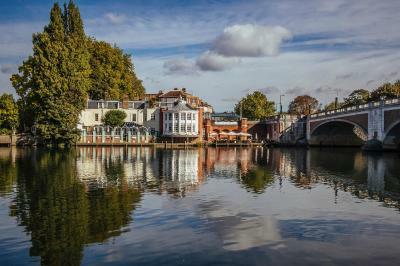 Located on the banks of the River Thames and opposite Hampton Court Palace, The Mitre Hotel offers guests large luxurious rooms, riverside dining and limited parking. 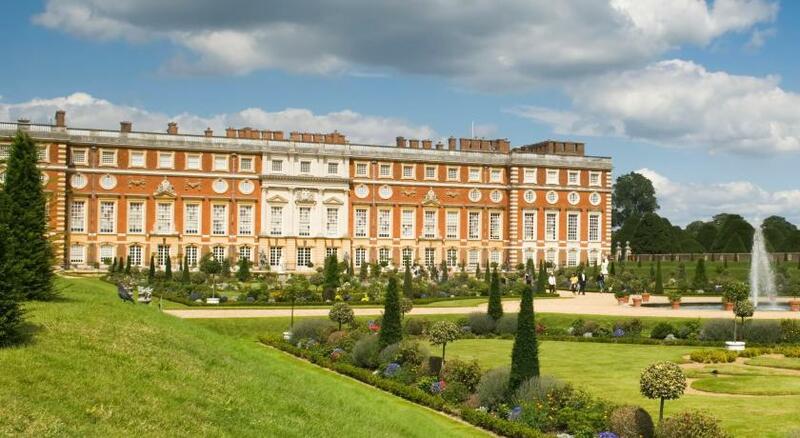 Hampton Court Rail Station is also a 2-minute walk away. Originally dating back to 1665, the 4-star Mitre now provides the modern day traveller with well-equipped rooms complete with flat screen TV’s, tea and coffee making facilities and a complimentary newspaper in the morning. Some rooms also offer beautiful views overlooking the Palace or access to a tranquil private courtyard. 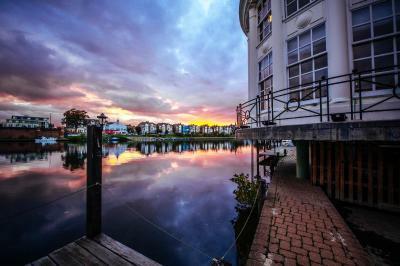 The hotel’s Restaurant serves a well priced, modern European menu and offers panoramic views across the River Thames. Weather permitting, guests are also able to dine outside on the riverside sun terrace. Free internet access is available in the traditional Minstrel's Library. Central London is a 40-minute train journey away, whilst Heathrow Airport can be reached with 30 minutes’ drive. 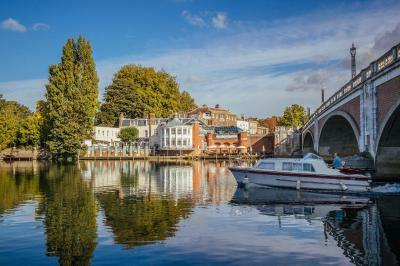 A number of riverside restaurants and pubs can also be found just 5 minutes’ walk from the hotel. Mitre Hotel has been welcoming Booking.com guests since 1 Aug 2005. When would you like to stay at Mitre Hotel? With a TV, these rooms also have a large bureau, ironing facilities and free tea and coffee. The bathroom has a hairdryer, whilst there is also an in-room safe. Large rooms are set around the hotel's pretty outdoor courtyards. Each room has a king-size bed, a TV, morning newspaper and a percolator for fresh coffee. Each room has a large bureau and ironing facilities. The hotel's most luxurious rooms offer extra space, king or queen size beds and a coffee percolator for fresh coffee. 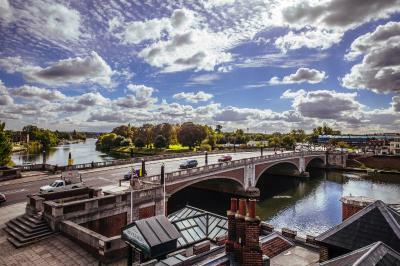 Many rooms have views of the River Thames or Hampton Court Palace, whilst all have a TV, a morning newspaper and a bathroom with luxury toiletries. This one-bedroom suite features a four-poster bed and overlooks the river and Hampton Court Palace. House rules Mitre Hotel takes special requests - add in the next step! All children under 12 years are charged GBP 20 per person per night when using existing beds. All further older children or adults are charged GBP 40 per night when using existing beds. Mitre Hotel accepts these cards and reserves the right to temporarily hold an amount prior to arrival. Limited parking is available on a first come first serve basis. Old hotel with homely feel, lots of different room styles and areas to sit. Excellent location for RSN and HCP. Radiator in bathroom lethal. Husband burnt his leg still scarred now. Changed room which was a deluxe one but as over looked was not suitable. Moved to a standard room with assurance cost would be adjusted but wasn’t. Shame as put a downer on an otherwise nice stay. Room 104, Toilet was dirty, bathroom needs re-decorating! Bathroom had nowhere to put anything!